The Arctic ecosystem is changing and it is doing so at an alarming rate. Indeed, the Arctic Circle is warming faster than most other ecosystems on this planet. All of this change has implications for the plant communities that call this region home. In a landmark study that incorporated thousands of data points from places like Alaska, Canada, Iceland, Scandinavia, and Russia, researchers have demonstrated that Arctic vegetation is, on average, getting taller. Imagine what it is like to be a plant growing in the Arctic. Extreme winds, low temperatures, a short growing season, and plenty of snow are just some of the hardships that characterize life on the tundra. Such harsh conditions have shaped the plants of this region into what we know and love today. Arctic plants tend to hug the ground, hunkering down behind whatever nook or cranny offers the most respite from their surroundings. As such, plants of Arctic-type habitats tend to be pretty small in stature. As you can probably imagine, if these limits to plant growth become less severe, plants will respond accordingly. That is part of what makes this new paper so alarming. The vegetation that comprise these Arctic communities is nearly twice as tall today as it was 30 years ago. However, the increase in height is not because the plants that currently grow there are getting taller but rather because new plants are moving northwards into these Arctic regions. New players in the system are usually cause for concern. Other studies have shown that it isn’t warming necessarily that hurts Arctic and alpine plants but rather competition. They simply cannot compete as well with more aggressive plant species from lower latitudes. Taller plants moving into the Arctic may have even larger consequences than just changes in species interactions. It can also change ecosystem processes, however, this is much harder to predict. 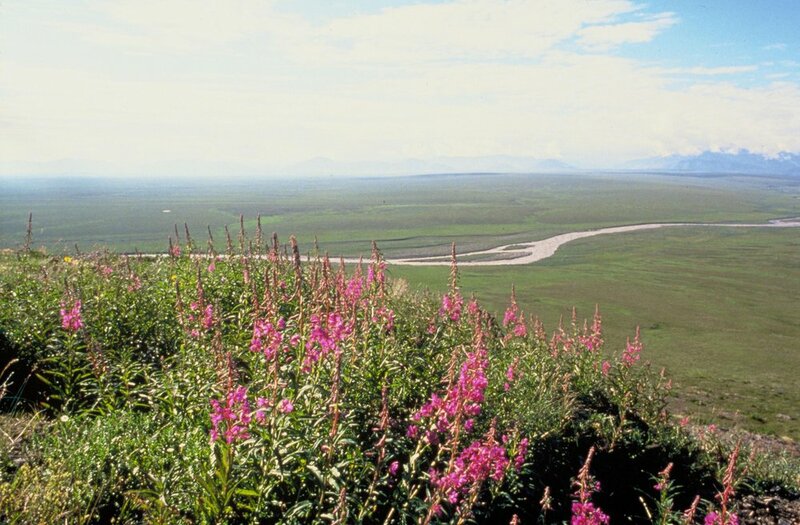 One possible consequence of taller plants invading the Arctic involves carbon storage. It is possible that as conditions continue to favor taller and more woody vegetation, there could actually be more carbon storage in this system. Woody tissues tend to sequester more carbon and shading from taller vegetation may slow decomposition rates of debris in and around the soil. It is also possible that taller vegetation will alter snowpack, which is vital to the health and function of life in the Arctic. Taller plants with more leaf area could result in a reduced albedo in the surrounding area. Lowering the albedo means increased soil temperatures and reduced snowpack as a result. Alternatively, taller plants could also increase the amount of snowpack thanks to snow piling up among branches and leaves. This could very well lead (counterintuitively) to warmer soils and higher decomposition rates as snowpack acts like an insulating blanket, keeping the soil slightly above freezing throughout most of the winter. It is difficult to make predictions on how a system is going to respond to massive changes in the average conditions. However, studies looking at how vegetation communities are responding to changes in their environment offer us one of the best windows we have into how ecosystems might change moving into the uncertain future we are creating for ourselves.